Har Ki Doon Trek is one of the most popular treks in the Garhwal Himalayas. Set at the base of Fateh Parvat at an elevation of 3556 m, Har Ki Doon Valley is a valley blessed with the true gifts of nature. The valley is nestled amid those thick alpine forests and snow covered mountain peaks. The trek begins from Sankri and covers places like Taluka, Osla, Har Ki Doon, and Jaundhar Glacier. As you trek through the valley, you get to enjoy the views of green meadows, snowcapped peaks, thick green forests and glaciers. Also, the Garhwal Himalayas are known for being home to rich flora and fauna. This makes the trek more interesting and a paradise for wildlife enthusiasts. 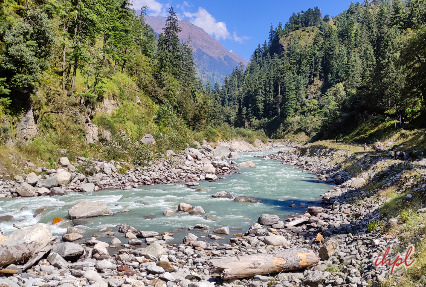 With this trek, you get to explore the unexplored regions of the Garhwal Himalayas. This trek is perfect for beginners. The grade for the Har Ki Doon Trek ranges between easy to moderate. On arrival at Dehradun Railway Station in early morning, start driving towards Sankri. 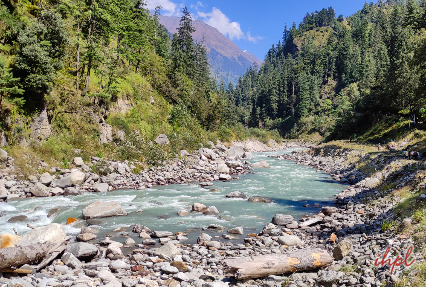 Located at a distance of around 220 km from Dehradun, Sankri is a small beautiful village that forms the road head to the popular Har Ki Doon Trek. The place is well-known for offering spectacular views of the mountains. Have your breakfast and then leave for Taluka. Enjoy the beautiful view of the Har Ki Doon trek route. Taluka, located at an elevation of around 1950 meter above sea level is the place from where you start trekking. The place is popular for its colorful flowers and allures flora lovers from all over. This morning, after having your breakfast, start trekking towards your next destination, Osla. Osla is a little slice of paradise in the beautiful valleys of Uttarakhand. Set at an altitude of 2560km above sea level, Osla is covered with vegetation and snow. 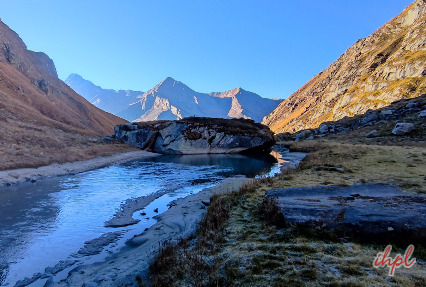 Trekkers get to explore much at this stunning destination. 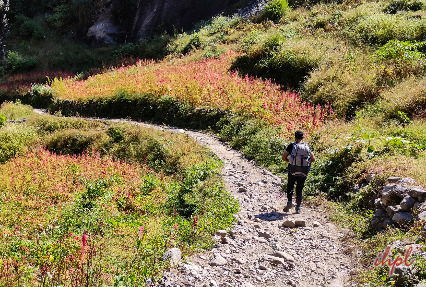 This day you trek towards the most beautiful part of the trek, the Har Ki Doon Valley. 14 km from Osla, Har Ki Doon is located at base of Fateh Parvat at a height of 3558mt. 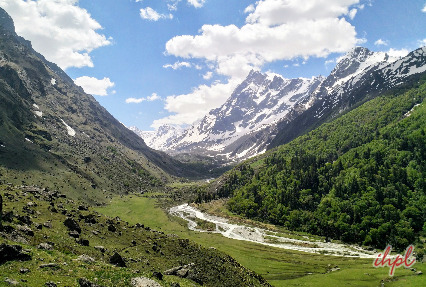 Har Ki Valley is all around surrounded by snow, high mountain peaks and greenery. The scenic view the valley offers is something that you will cherish for a lifetime. It is time to trek towards the Jaundhar Glaciers. A stretch of 55 km, these glaciers are divided in two parts- north and south Glaciers. Treat your eyes with the breathtaking views of the glaciers and valley covered with grass and snow. After trekking, get back to the base of Swargarohini peak which is located very near to the Jaundhar glacier. Start trekking back to Osla which is around 11 km away. On your way, enjoy the beautiful sights of the valleys. Let the fresh air rejuvenate you. On reaching Osla, take some rest in your tents. Start trekking back to Sankri from Osla this morning. Enjoy a sunset like never before and then begin the trek back with energy. On your way, enjoy the chirping or birds and beautiful view of the snowy mountains. En-route you get to see sanctuaries and parks. Enjoy the tranquil ambiance and keep trekking to reach Taluka from Osla. At Taluka, board your vehicle that takes you back to Sankri (13kms). Have Dinner & stay Overnight stay in Sankri. Day 08: Drive back to Dehradun. Reach by 6-7 pm. On reaching back to Sankri, leave Dehradun Station in the afternoon. Carry on with your onward journey. Take back the lovely memories of the exciting trek.